If I could tell my high-school senior self…. This is one question I get frequently–If you could go back in time, what would you tell your high school senior self? Any good advice to pass along? Quite frankly, my response has nothing to do with academics or have anything to with financing school. Nevertheless, I hope this gives you a better outlook on my honest experience of Loyola and gives you more reassurance about your decision to come to here in the future. As a incoming freshman, TAKE ADVANTAGE that everyone starts on a clean, fresh slate. No one knows anyone, and everyone is just as lost, nervous, and scared as you are. This is your time to shine and make friends right from the very beginning, whether that would be during orientation over the summer, convocation, or first week of classes. You’ll find comfort, you’ll have many things to look forward, and you’ll make the most out of your Loyola experience. During my orientation, I made good friends. Though I was shy and kept to myself, I was [very] lucky to be in a group of open-minded and friendly people. Though my first friend, I met his friends and the domino effect happened. 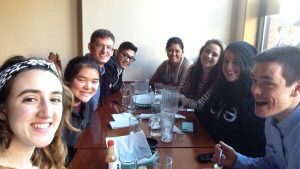 It was not long into my freshman year that I had a good central group of friends and felt comfortable enough to be myself. I regret holding back a lot of my genuine self and being talkative to others. Though it is tough, remember that it is tough for everyone. You are not alone. Sure, everyone is different; there’s the introverts and extroverts and everyone else in-between. However, you are in control of who you want to associate yourself with. Use your instincts to find people who could potentially be your friend and work from there. Take advantage that all of you guys are new to Loyola! Ask people to explore campus with you and find out where your classes are! Have fun getting lost! Visit the supposedly haunted floor of Mundelein together! Go to mass together! Have a contest of the best looking ice cream cone in the dining hall! Go out for lunch at Felice’s! 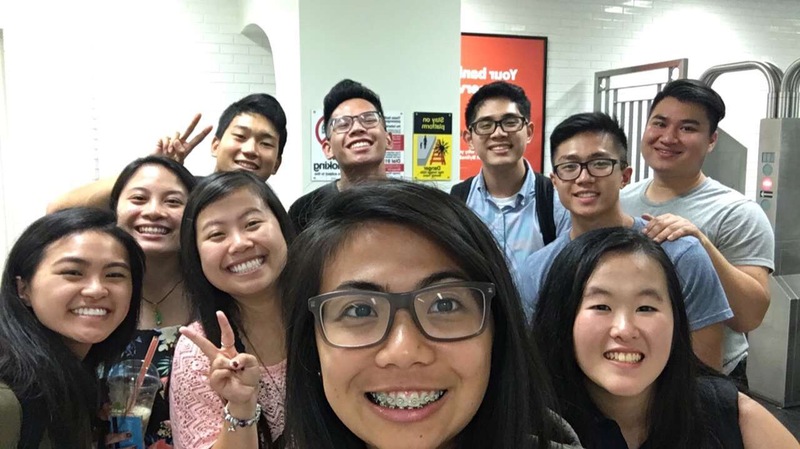 Simply do anything so you have the opportunity to get to know them better and explore Loyola better, together. I remember my friends and I went to Garcia’s -Mexican Restaurant, to celebrate a birthday. It was fun because everyone was together and we explored the rest of little shops down the strip of Lincoln Square. A particular fun memory was when the server sang ‘Happy Birthday’ with a pair of maracas to my friend in front of a slice of flan and lit candle. Somehow the server shook the maraca so hard, it broke and fell into the basket of tortilla chips. Obviously, there was so much laughter and good memories were created. My advice to my own self do not regard academics and finances because I know that is something I know I can work on, regardless. Creating memories and good friends is something that is time-sensitive. I believe that the best time to make friends is right in the beginning of freshman year, as everyone is new and in need of friends. It is the easiest time to get acquainted with others. This is Granville. Doors open on the left at Granville. This is a red line train to Howard. Hey everyone, welcome back to the ninth installment of Explore Chicago CTA Edition! As always, I’m your student blogger and excited eater, Miguel Molina! Today, we are going to be having some fun with both eats and treats down at the CTA’s Granville stop. Be sure to bring your student ID card, ventra card (u-pass), trusty walking shoes and as always, a hungry belly. So come on, let’s go out and explore! Unlike the other sites on the Red Line, I would not recommend taking the Loyola intercampus shuttle bus. Granville is only a stop south of Loyola. You heard that right, only one stop away. Because of this, here are the two quick ways to get to the neighborhood. First, the easiest way. You can take the CTA Red Line train from Loyola down south to 95th/Dan Ryan toward Granville (it has its own stop). The trip down will take you around 1-2 minutes at most. Secondly, you can always take an Uber or a Lyft to take you from Loyola’s Lakeshore Campus. This would take you around the same amount of time as taking the CTA. But for an even more scenic and leisure way, you can walk down Kenmore Avenue and turn on Granville avenue. It’s only a few blocks away from campus. 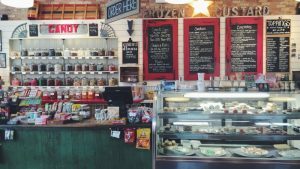 Still looking for more to visit and wonderful places to eat? Be sure to tune in during the week of April 10th as we go and start to explore more at the Morse stop on this edition of Explore Chicago CTA Edition. Doors closing. It is very easy to get caught up with so many responsibilities in school, extracurriculars, family, social life, and so much more, that you forget to take good care of yourself. I have trouble with this too and hopefully, I am not alone. There are so many things to do and it becomes a force of habit that we want to help others, learn more, and visit different places. However, we are not machines; we need the basics -rest, good nutrition, emotional stability, and a positive mindset. During mid-term week or finals week, the inner zombie in us becomes very apparent as we cram in very last bit of knowledge to do well on our exams. We fuel up on coffee, disregarding the side effects of being jittery and exhausted. We even make the IC (Information Commons) our second home, as we coop up in a study room for hours and hours trying to study. For others, just like me, I treat every week like a mid-term week and when you top that all off with extracurriculars, such as being the president of an organization, musician for a parish, and teacher for Sunday school, you literally become an automaton. What is self care? Why is it even important? Self care is acknowledging that you own your body and no one else is responsible for it BUT YOU. In order to function properly, YOU need to take care of yourself and provide it with things it needs (not wants). Sufficient amount of sleep is quite essential. It is amazing how the body can take over what we want to control. For instance, if you stay up during the night, your body will want to make up sleep time during the day, no matter how alert you want to be during the daytime– there’s a balance for everything. Sufficient amount of food is also important. If you eat nothing, your body cannot convert ‘nothing’ into useful energy. Your body will send you alerts up to your brain and your stomach will tell you by making loud noises, regardless of what you want. TIVO and SANTOS – Tivo just retired from being a therapy dog and Santos is his successor. These dogs are so friendly and relieve the pressure and stress from students in class. They will play with you, give you unconditional love, and will let you pet them as much as you want. MADONNA DELLA STRADA – God is always with you to support and love you. This chapel is not only beautiful, but it is a place where people can have quiet space to meditate and reflect. WELLNESS CENTER – There are so many services for you! If you have Loyola’s health insurance, you can visit the doctor! All Loyola students get to have 8 free sessions with a psychologist too, for the year! 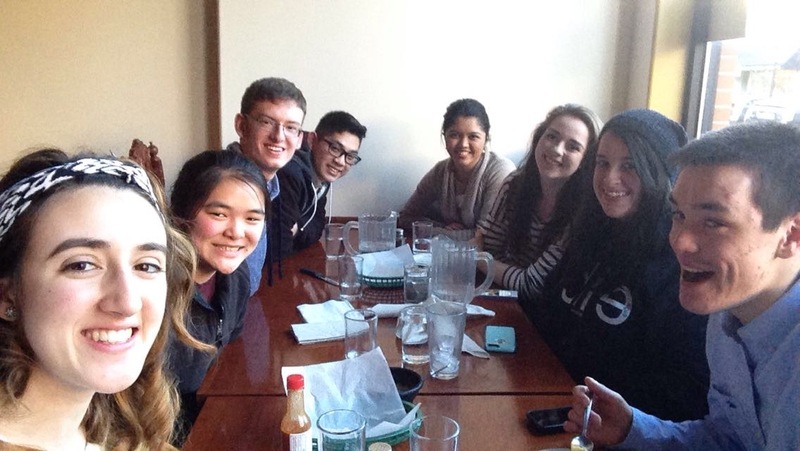 CAMPUS MINISTRY – Learn to love yourself, and love others through this warm and amicable community. Travel with a group of friends to do service work and enjoy helping others! ADVISORS – First and second year advising helps freshmen and sophomores figure out academic issues as well as offer emotional and personal support. What a weekend it has been! 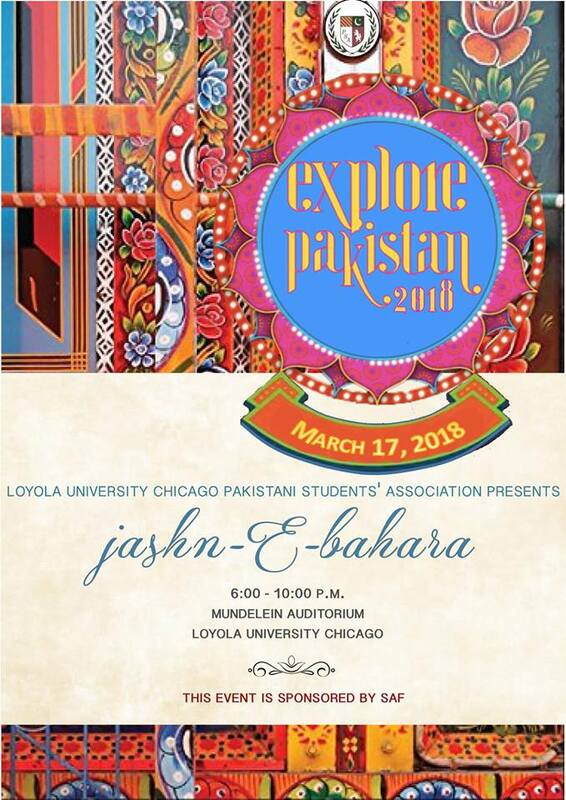 From Nick Jonas performing a burnin’ performance, to Loyola making it to the sweet sixteen, to Loyola’s Pakistani Students’ Association holding an amazing event, to Hannibal Buress getting kicked off of stage! It all happened this weekend, and it couldn’t have been better. Nick Jonas came to Loyola and fans were in so much excitement. Nick Jonas performed old classics to new ones and the crowd went wild, singing along to every lyric. 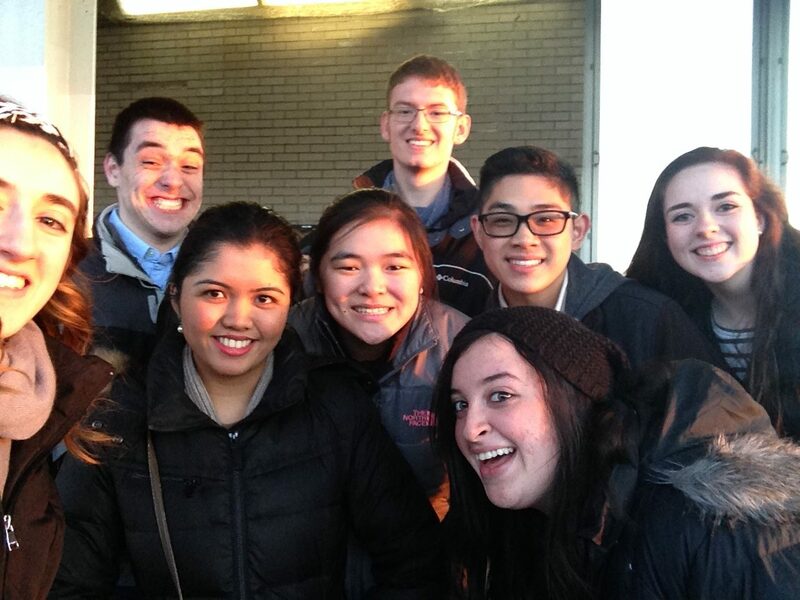 Students at the event were also in attendance at Loyola’s incredible win! Cheers ran across the entire campus as all students celebrated the win and making it to the sweet sixteen! 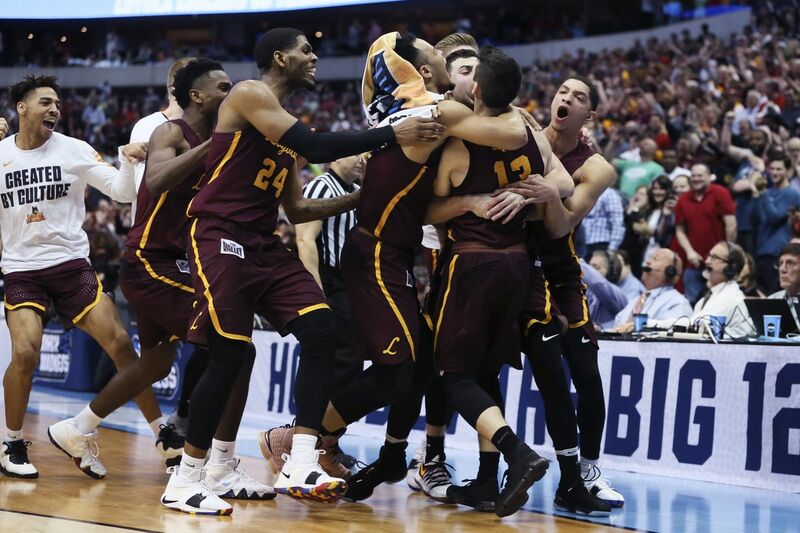 Clayton Custer’s jumper took a friendly bounce off the rim and in with 3.6 seconds left, and 11th-seeded Loyola beat Tennessee 63-62 in a South Region second-round game Saturday night. 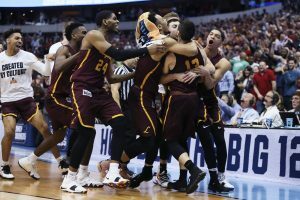 The Ramblers (30-5), who won the Missouri Valley tournament, broke the school record for wins set by the 1963 NCAA championship team. 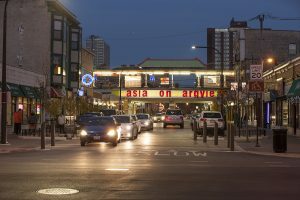 If you’re looking for a food fad sweeping the world, look no further than Argyle – or maybe Chinatown. It’s bubble tea! 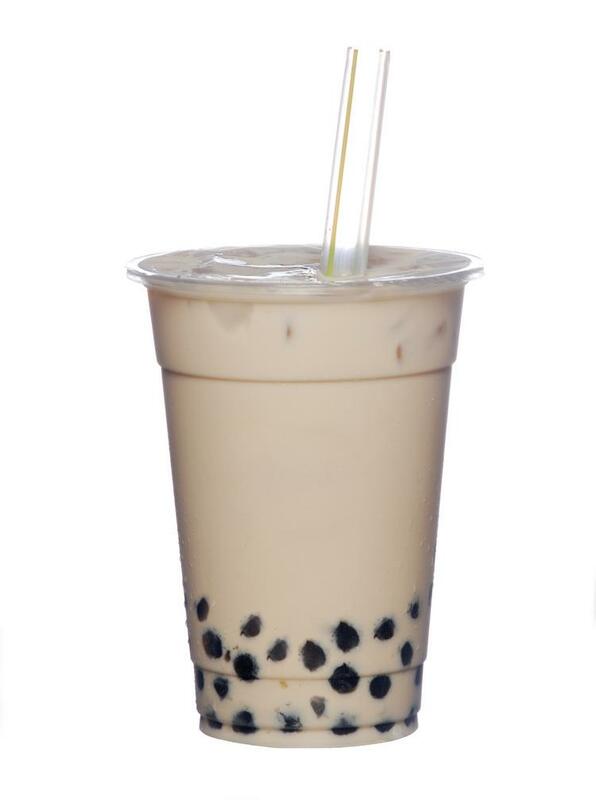 Also known as boba or milk tea, this sweet treat is a blended drink of a million different types, kinds, and sizes. It was invented in Taiwan in the 1980s and has spread globally ever since. Or at least, from the East to the West. You can get fruit-based teas, milk teas, with tapioca pearls or without, with jelly blocks or fruit in the cup. Anything you can dream of, you can get. In Chicago, I must admit, I get it like, every week. It’s about five dollars a cup, which is about the same as my average Starbucks order, so that’s pretty nice. But here in China? The most expensive cup at the most expensive boba stand is about three dollars. They deliver to your dorm if you want, they have punch cards upon punch cards, and in a five minute walk there are five different stands to get your boba. My favorite drink is called the ‘Panda’ – tapioca pearls, a milk cream, and oreos on top. You can customize the type of tea, the sugar amount, and the ice amount, so I usually get 100% of the normal sugar, lots of ice, and green tea. I’m a big fan of the oreo flavor and the strawberry flavors, because traditional milk tea ‘plain’ flavor doesn’t quite cut it for me. But my roommate here is always trying to get me to try new things, so I’ve been slowly expanding my palate. Still, I’m an oreo girl through and through. For many people who perhaps didn’t drink bubble tea every week for two years, it’s often an acquired taste, earned through drinking smoothie variations on bubble tea before moving on to the milk tea-style. When people think of Chinese food in the USA, they might think of fried rice, or General Tso’s chicken, or maybe beef and broccoli. Since I’m in an Asian-formed sorority in the States, we go out for different Asian foods all the time, including the absolutely necessary boba stop. It’s interesting because when I was last here in Beijing in 2013, bubble tea was known, but certainly not this popular. And here we are now! Since I’ve been gone for a year, I can’t speak for the situation back in Chicago, but I do know that a bubble tea location has opened up near my hometown – which is totally different, because it’s a very white town and when I was growing up, most if not all Asian restaurants were at least a twenty minute drive away. I know I’ll be coming back from my time abroad with even more passion for this treat. Perhaps it’s not the healthiest, but Starbucks drinks here are at American prices, whereas I can get some boba for maybe $1.5. That’s a huge difference in the eyes of a college student! Maybe by the time I come back, boba will really have broken into the mainstream and be everywhere. That’s what I’m hoping for! Since the title of my blog has to do with food, I thought I’d share with you all this particular aspect of Chinese culture. And maybe now you’ll be on the lookout for boba places and give it a try, if you haven’t already! Hey everybody, welcome back to the second edition of Easy and Healthy Eating for the Busy College Student. Let’s be real, eating on a budget is not easy. This is especially true for those who want healthier choices and variation. Before taking a gulp of that Red Bull (or other energy drink you have on hand) or reaching into that bag of chips from the convenience store, take a look at the list I provided below for a healthy breakfast, lunch, and dinner that can be easily made in your dorm or apartment. 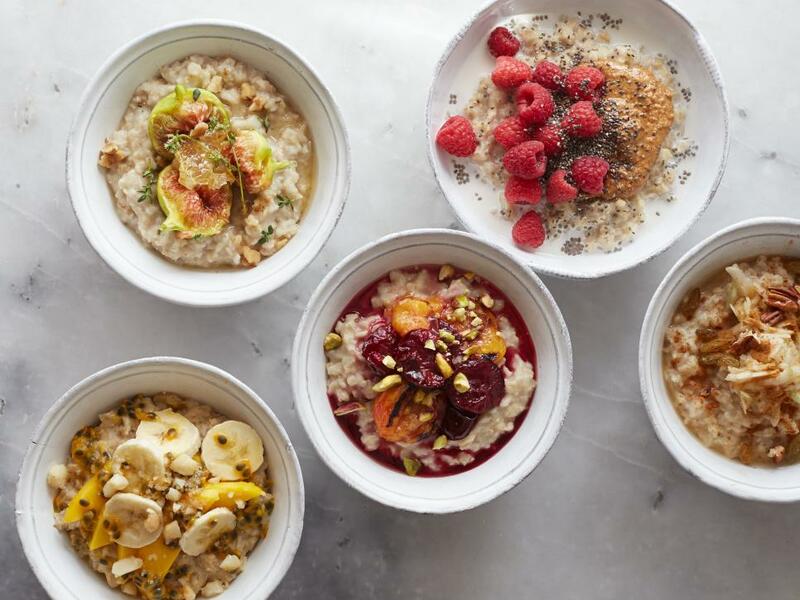 The options you will find below are both tasty and affordable. They are also Mom approved! Happy eats! With this recipe, the ingredients are in the name. All you will need are some quick oats (you can get small-large batches at the Aldi’s near campus), brown sugar (or maple syrup works too), almonds (or other nuts, depending on your preference), and fruits (apples, oranges, grapes, melons, pineapple, etc.). Lastly, you can also add milk for a creamier and thicker texture. All you need for this dish is: rice (of course), chicken breast (if you want a more flavorful part, get the boneless chicken thigh), an onion, garlic (everything tastes better with garlic), peas, carrots, two eggs, sesame oil (or better if you have that on hand), soy sauce, and a topping of sesame seeds. Chop and food process the pesto ingredients until they are smooth and are the desired consistency and taste. Cook the pasta on a stove top (careful it will be hot!). Drain the water in the pot and mix in the fresh pesto you made. To store your extra food, it might be worth it to invest in some durable tupperware to store leftover food so it does not go to waste! 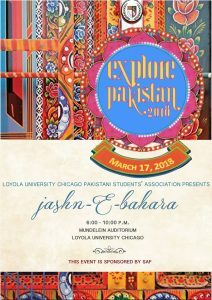 Loyola University Chicago’s Pakistani Students’ Association presents to you the third annual Explore Pakistan. With this year’s theme of “Jashn-e-Bahara,” we are celebrating the season of Spring, bursts of color, new blooms, and Pakistan. Join us in the celebration of Pakistani culture with Pakistani food, music, colorful decorations, and more! This event will have live food stations, performers, dinner, and dancing. All attendees must have a ticket to gain entrance. Dress to impress: Formal attire is required! Dinner will be served at 7:30 p.m.
Open dance floor at 8:30 p.m. Doors will close at 8:00 p.m. If you have any questions or concerns, please feel free to reach out to a PSA Executive Board member. This event is sponsored by SAF. Spring break was last week and for the first time this semester, I was able to relax and reflect on my great Loyola journey and realize that my undergraduate years was coming to an end, faster than what I wanted. Working in the Undergraduate Admissions Office has allowed me to meet high school students and understand what it is like to be in their position and circumstance; it has taught me to be grateful of where I am and help guide others, especially those who are first-generation, low-income, and identify as a minority. 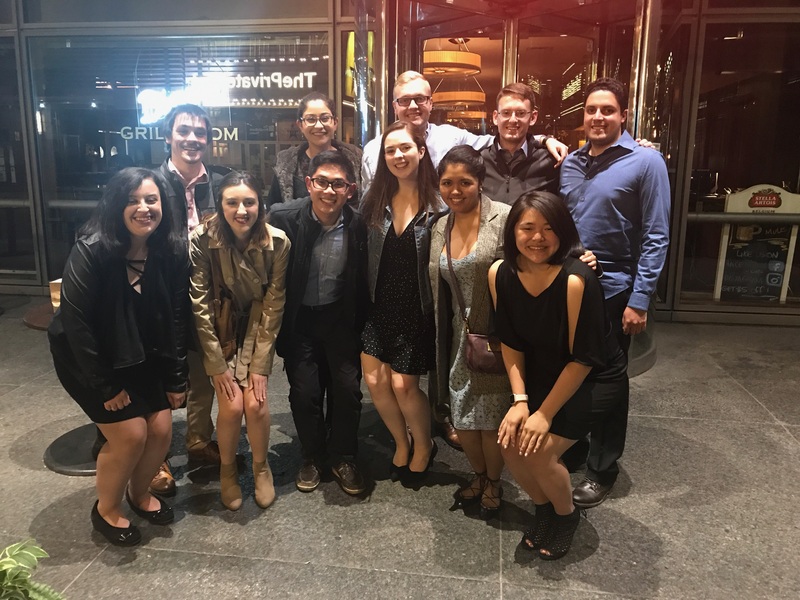 For the last 3.5 years, Loyola has been my home and in this post, I hope to express why I love this university and why you should consider Loyola to be your future home as well. (1) You will not be spoon-fed everything. You have to actively look for the help and services you need. As an organization president, there’s only so much I can do to accommodate the needs and wants of the students; if students want something, they should speak their minds out and actively come up with ideas and plans to get something done. Similarly, students should physically visit offices/departments if they need help, join organizations if they want to be active in the community, and so on. (2) You cannot meet the needs of everyone. Yes, you can have strikes and/or express concerns or complaints, however, there are reasons for the way things are done (regardless if we know it or not). Instead of making quick assumptions, take a deep breath and contemplate on what you plan to do, if it is worth doing, and think about what the end result will be. I know of a lot of people who do things before thinking about it, and often times, they have struggled to pick themselves back up. (3) Academics are priority. The sole reason for any student, is to get an education and get a degree. Do not let other things steer you away from the thing that matters most – your grades. I personally believe that I am lucky to go to Loyola, where there are many offices and services available to students. Not only that, but most of the faculty and staff are amicable and willing to listen to the students’ concerns whereas it may not be as accessible or approachable at other universities. Take advantage of what this school has to offer you and make the best out of it. This is YOUR time to make a difference and develop as a fine adult. As I am finishing up my last semester, I look back and I realize that the ‘Loyola Experience’ our school brands, is only complete if you choose to reach out and take advantage of the clubs, offices, and more. Simply going to class and going back to your dorm/home is not going to allow you to mold into a ‘Rambler.’ You have to make an honest effort to understand the school and be a part of it. This is Argyle. Doors open on the left at Argyle. This is a red line train to Howard. Hey everyone, welcome back to the eighth installment of Explore Chicago CTA Edition! As always, I’m your blogger and happy eater, Miguel Molina! 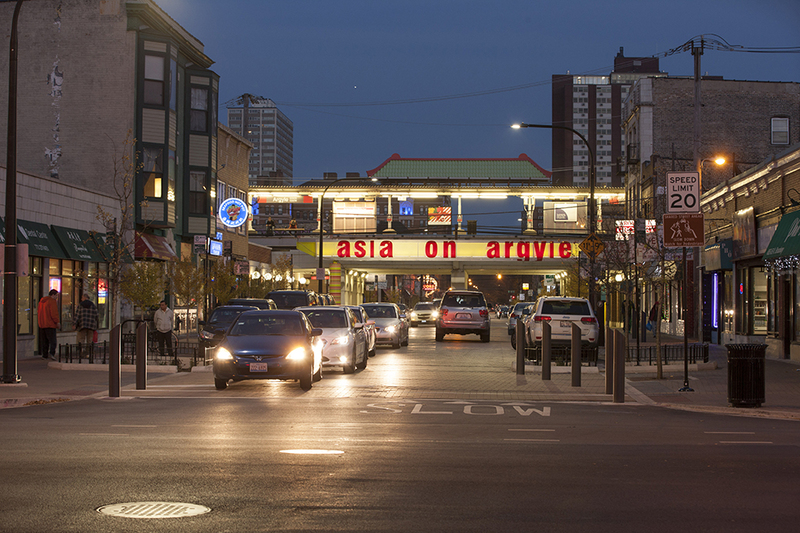 Today, we are going to be having some fun with both eats and treats down at the CTA’s Argyle stop “Little Vietnam”/”Vietnamese Town”. Be sure to bring your student ID card, ventra card (u-pass), and as always, a hungry belly. So come on, let’s go out and explore! Unlike the other sites on the Red Line, I would not recommend taking the Loyola intercampus shuttle bus. Argyle is only a few stops south of Loyola, five to be exact. Because of this, here are the two quick ways to get to the neighborhood. First, the easiest way. You can take the CTA Red Line train from Loyola down south to 95th/Dan Ryan toward Argyle (it has its own stop). The trip down will take you around 10-15 minutes at most. Secondly, you can always take an Uber or a Lyft to take you from Loyola’s Lakeshore Campus. This would take you around the same amount of time as taking the CTA. Beware the busiest times for traffic so you are not stuck. As with any other place in the city, be aware of the time of day that you plan to visit these sites. Pho 777: Looking for a way to keep warm? Look no further than a bowl of hot, steaming pho at Pho 777! This eatery on the main strip of Argyle is home to some of the best Pho in the neighborhood. For those who don’t know, pho is a traditional Vietnamese soup with aromatic herbs, a broth made with beef bones, and noodles. Usually it is made with either chicken or beef. Personally, I prefer the cuts of beef with pho. For those who want an extra crunchy flavor, bean sprouts or on hand. For a stronger taste, thai basil. But if you are craving to open up your sinuses, there are enough spicy peppers to add to your liking. While the restaurant does offer other great tasting traditional Vietnamese cooking, this is definitely a place to have pho with friends anyday! Sun Wah BBQ: For those of us on a student budget but want quality, great tasting, authentic Chinese cooking, Sun Wah BBQ is a place that should be on your list! I usually get their roast duck (which is fresh from the window display, so you know it is fresh), roast pork (so flavorful, crunchy, and oh so hearty), and their beef chow fun (thicker noodle with strips of tender beef). You can then wash it all down with one of their dumpling soups. Shrimp, pork, and woodland mushroom dumpling soup is always a favorite! This is a great place to bring your friends to sample and try a bunch of different dishes. Be aware this is not your American Chinese restaurant but authentic Chinese! Kung Fu Tea: After all that you ate, make sure you head to Kung Fu Tea to wash it all down! 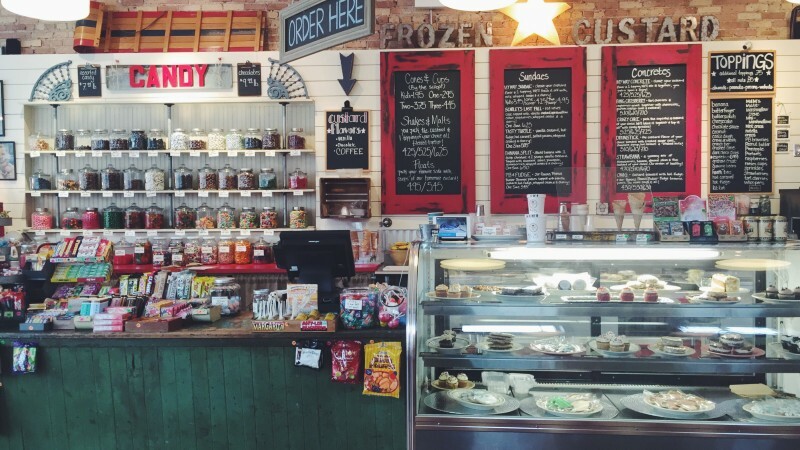 With a wide selection of milk tea, slushies, and other tea drinks; this is a great place for snacks and dessert. Being a coconut aficionado, I go for their coconut milk tea which is creamy goodness! If you are more into tropical fruit drinks, you can also find these here! Still looking for more to visit? Be sure to tune in March 27, 2018 as we go and start to explore more at Granville on this edition of Explore Chicago CTA Edition. Doors closing. There’s a lot of questions when it comes to choosing a college, not to mention whether or not – and where – to study abroad. One of the things that I always hear is debating the language barrier. In Rome, you can get by just in English, although it isn’t very polite to your host country. Here in China, way less people speak English, especially not the older generations. But it’s okay! Over half of the Spring 18 TBCers came to this country with absolutely no Chinese language experience, and they’re doing fine. TBC requires you to be in a Chinese language class, no matter your level, plus they provide you with a Chinese language tutor and immediate ‘Survival Chinese’ so you’re at least armed with the rudimentary basics by the time you’re out in the world. You learn Chinese, and fast, which is great! Even in your normal university classes, you won’t learn as much, as varied, and as fast as you do when you’re in China. Class here is almost every day, as opposed to every other day, and you always have your roommate to turn to as well. Plus, you’re in the same boat as so many other students, you can always study with them! But besides tell you things I’ve said already, I’m also going to give you some Chinese language learning recommendations, so you can get started and know stuff before you come! Second, for character learning, try Drops and Chineasy. Drops works on recognition and different matching meaning strategies, all without using written words. So for example, learning the word ‘wo’, me, comes with a picture of a finger pointing at a person. Or ‘shi’, yes (although it is written in the character), is a checked box. Chineasy pairs the character with what it looks like or derived from. So ‘ren’, person or people, which looks like 人, appears but feet come out of the bottom strokes and a head is on the top, so you can remember that it looks like a person, and means person as well. So handy! And of course, Duolingo. Although Duolingo has a little bit of a teaching issue, you can use apps like EdChinese and HelloChinese for learning, and then review with Duolingo (plus with more grammar). There’s so many ways to learn! Even if you’re not coming to China, knowing another language can never hurt. What’s stopping you from starting? Don’t let language keep you from a great adventure!